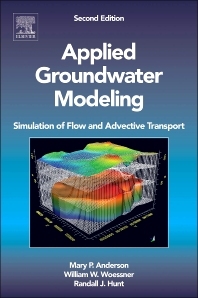 This second edition is extensively revised throughout with expanded discussion of modeling fundamentals and coverage of advances in model calibration and uncertainty analysis that are revolutionizing the science of groundwater modeling. The text is intended for undergraduate and graduate level courses in applied groundwater modeling and as a comprehensive reference for environmental consultants and scientists/engineers in industry and governmental agencies. 1.2. What Is a Model? 7.2. Steady State or Transient?